Deborah Kay Weller, age 64, of Belle passed away on Sunday, November 25, 2018 at Capital Region Medical Center in Jefferson City. Debbie was born on September 11, 1954, in Belle, a daughter to the late Ervin Frank and Buena Faye (Party) Butler. She was a 1972 graduate of Belle High School and a former member of the R.L.D.S Church of Belle where she played piano for many years. On October 21, 1972 she was united in marriage to Jerry Weller in Belle. Jerry survives of their home in Belle. Debbie spent over 40 years in the banking industry holding different positions throughout the years with Legends Bank in Owensville and Linn. Debbie like to travel and gamble on the river boats for fun. 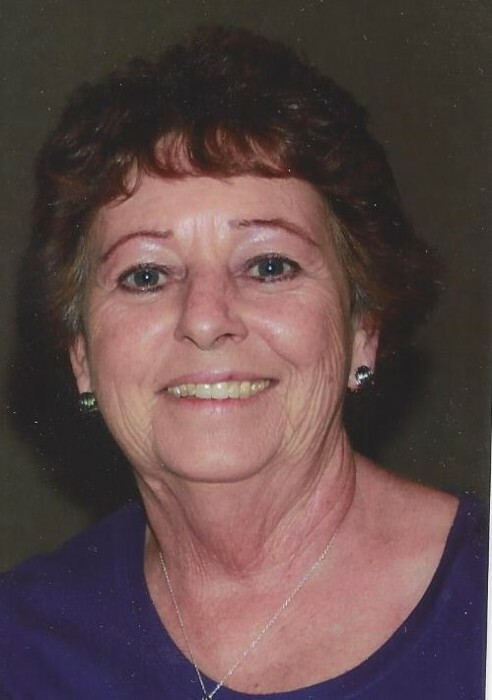 Her hobbies included fishing, shopping at Kohl’s, doing crossword and Sudoku puzzle books, watching the Lifetime channel and spending time with her family and especially her grandchildren. Debbie will be missed greatly by her family and by her community. In addition to her husband of over 46 years, Debbie is survived by: two sons, Jerry Dean Weller and his fiancé, Natasha Francis of Belle and Curtis Weller and his wife Tori of Belle; granddaughters, Madison Weller and her fiancé Tanner Hinson and Maycie Weller of Belle; siblings, Leroy Butler, Ken Butler and his wife Joy of Belle and Carolyn Massmann and her husband Stan of Herman; and one sister-in-law, Roena Branson as well as many extended family members and friends. Debbie is preceded in death by her parents, Ervin and Faye (Party) Butler; one infant brother, Charles Eugene Butler; brother-in-law, Danny Branson; mother and father-in-law, Pete and Sylvia Picker; and a nephew, Bryan Branson. Visitation for Debbie will be on Tuesday, November 27, 2018 from 5:00 p.m. until 8:00 p.m. at Sassmann’s Chapel in Belle. Funeral Services will be at 10:00 a.m. on Wednesday, November 28, 2018 at the Church of Jesus Christ, the Belle Restoration Branch with Larry Banks officiating. Interment will follow at the Community of Christ Cemetery in Linn. Expressions of sympathy may be made to the family of Debbie Weller.